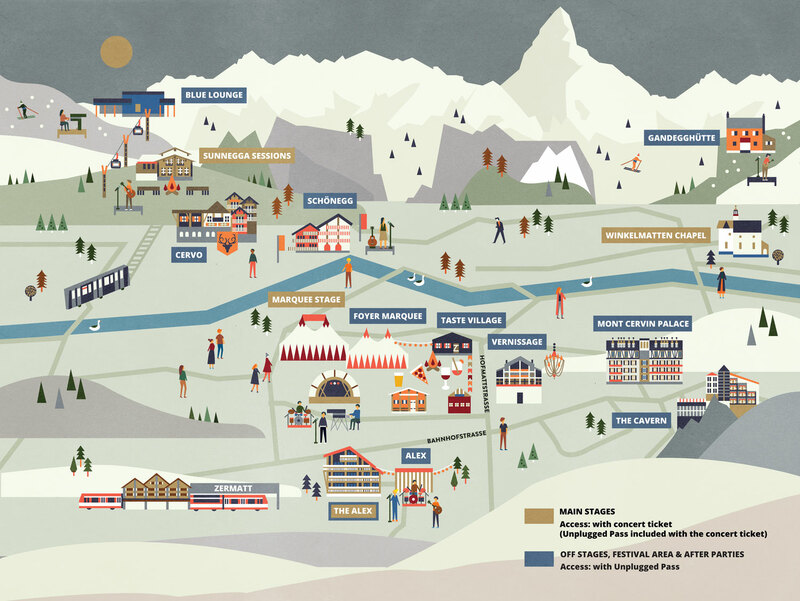 Zermatt Unplugged asked me to illustrate their Festival map for the 2018 and 2019 festival. 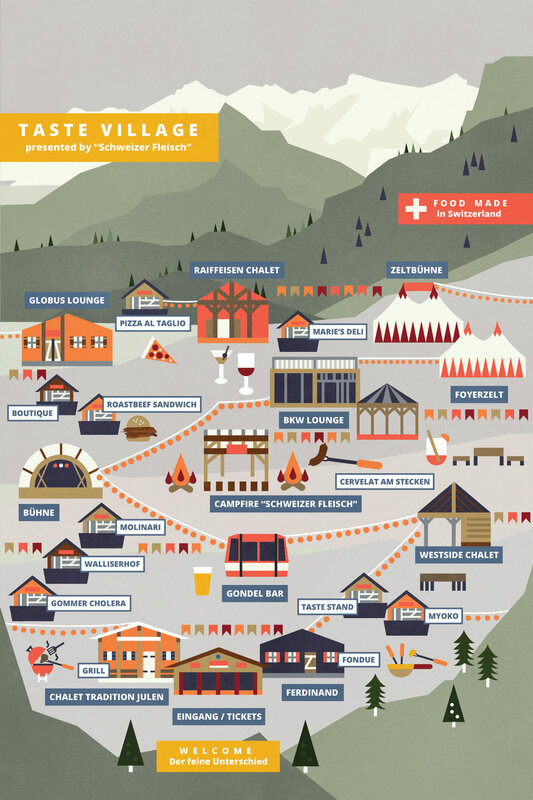 This festival is based in Zermatt, Switzerland, and it’s in a very lovely villagebetween the mountains. 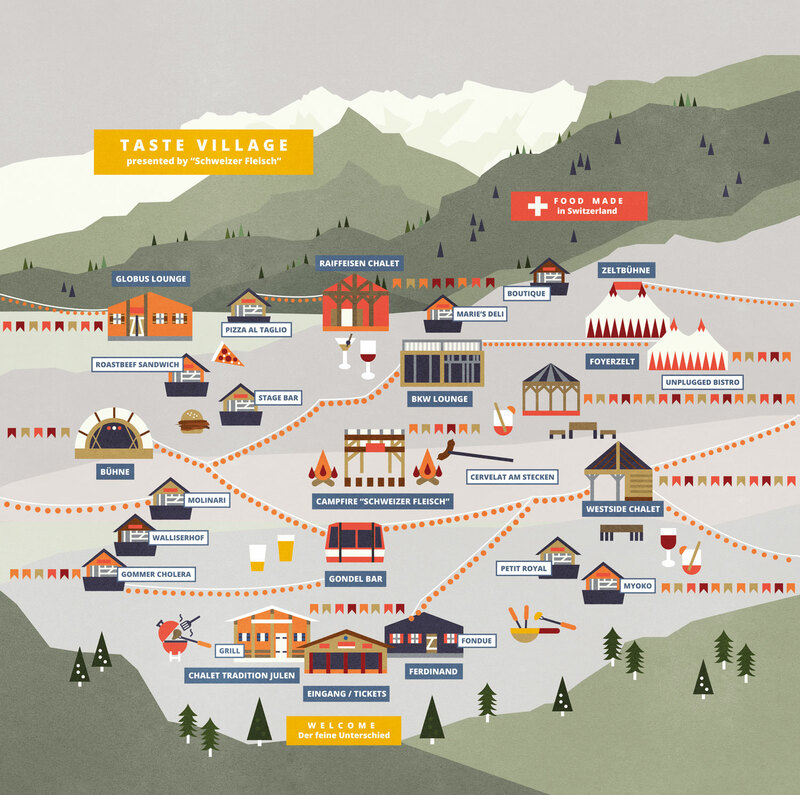 Beside the festival map, I also illustrated the Food Festival map that’s part of the festival.